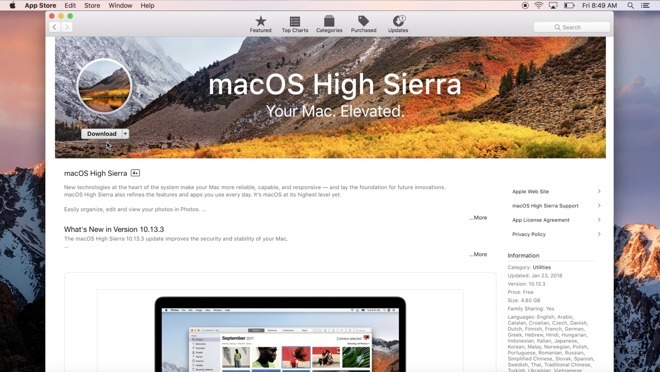 Every time you boot a Mac running an older version of macOS, you'll likely see at least one pop-up notification urging you to download and install the latest macOS High Sierra operating system. While we at AppleInsider generally recommend upgrading to High Sierra, there are some users who might want to stick with their current OS. In a previous video, we showed you how to downgrade back to macOS Sierra from High Sierra. The reason for doing that was that High Sierra actually caused issues because it's the first operating system that switched over to APFS, which is Apple's new file system, which replaced the old HFS+ file system. APFS restructures how files are stored in a disk partition, so it can cause some issues with storage, like a home server setup for example. Others had issues with updating software on Mac Pros with their firmware flashed to 5.1 from 4.1. 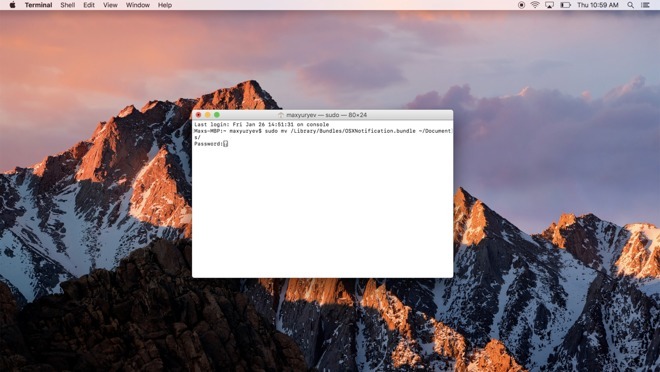 If you were one of the users who downgraded back to macOS Sierra, or has just been holding off on High Sierra, here's how to turn off upgrade notifications for good, with a single terminal command. First, use Spotlight search to open the Terminal. 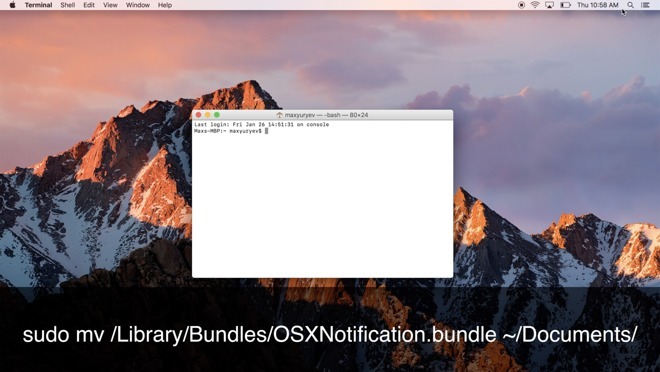 Then copy this command, which you can find in the video description below, and paste it into the Terminal. Then hit enter. This command basically moves the file that's in charge of running the upgrade notification out of Apple's system files. Depending on your OS version, and user permissions, you may or may not receive a warning message. Either way, type in the password you use to log in, and hit enter. The command should execute instantly. When you reboot your system, you will be free of Apple's update notifications. If you change your mind and want to go ahead and move to High Sierra, don't worry, this procedure won't prevent you from updating. Simply head to the Mac App Store, search for High Sierra and download. But in the meantime, the Terminal command will prevent those bothersome notifications from popping up on a machine you aren't planning to upgrade.